The ever popular Dylusions Black Creative Journal is now perfect for on-the-go journaling with the new smaller size! 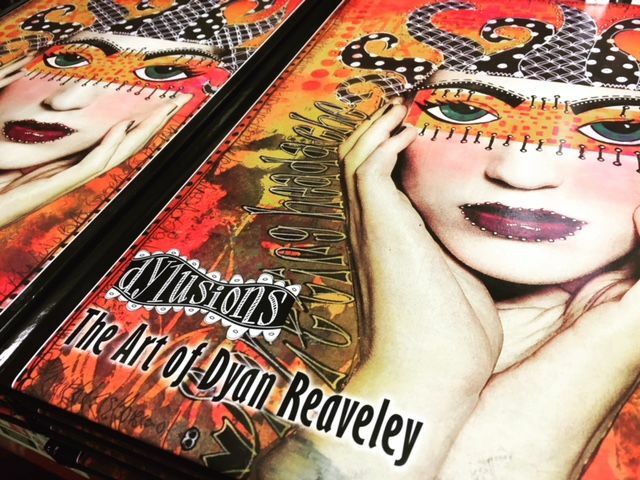 The Dylusions Black Creative Journal features heavyweight black cardstock, ideal for the application of Dylusions Paint, Dylusions Paint Pens and Shimmer Sprays for doodling, collaging, and other art journaling techniques. Journal cover measures 5.625” x 8.375”, pages measure 5” x 8”. Contains 48 all black pages. Stay organized and keep your personal items close with the Dylusions Dyalog Insert Pouch! One side features a zippered pocket, great for storing Dylusions Paint Pens, Clips, Washi Tapes, Stickers, and more. The opposite side features a dual-sided pocket which is great for holding Dylusions Dy·Cuts, Postcards, to-do lists and more all in a convenient place. The Insert Pouch slides easily into your Dyalog Covers for travel and the clear material allows you to easily see your stored items. Dyalog Insert Pouch measures 9.25” x 8.25”. 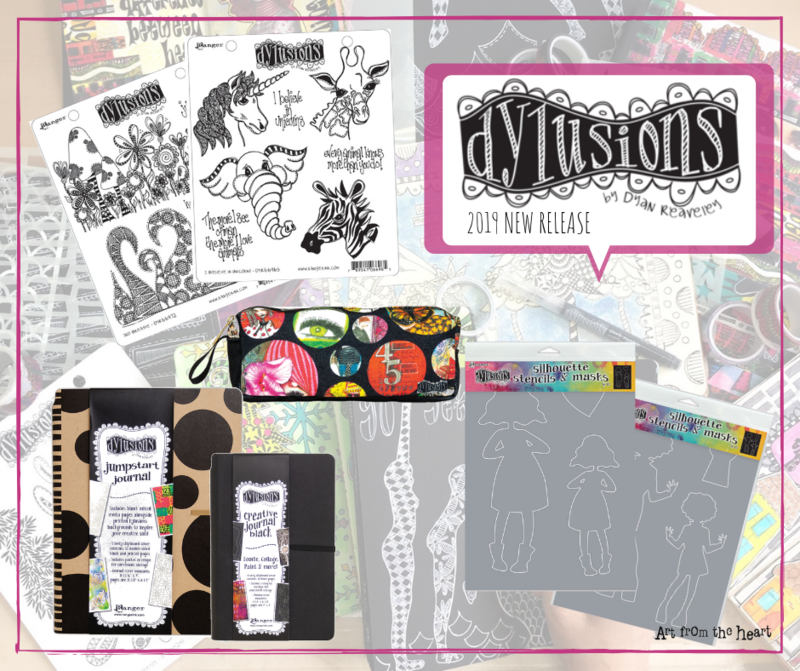 Stenciling and doodling on-the-go have never been easier with the Dylusions Dyalog Stencils. Designed to fit securely in the elastics in the Dyalog Covers, each of these stencils offer an assortment of fun patterns that can be mixed and matched to create a variety of designs. Use with Dylusions Paint, Paint Pens, and Inks to add bright colors to your Dyalog Insert pages. Available in three designs, each stencil measures 9.25” x 8.25”. 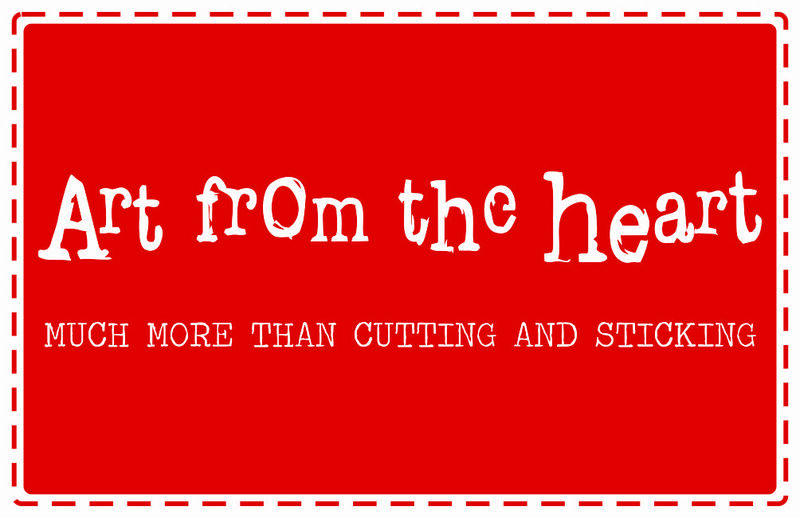 There’s something for everyone in this collection of Dylusions rubber cling mount stamps. Choose from six different stamp sets featuring Dyan’s signature style of unique imagery and well- loved quotes which continue to inspire art journalers and paper crafters everywhere. Ideal for use on pages in art journals, cards, and mixed media projectsRed rubber stamps mounted on EZmount with index sheet for easy storage approx 7 x 8.1/2"
Create layered effects, backgrounds, or bold images on journal pages, mixed media, or paper craft projects with Dylusions Silhouettes. Stencil and mask to create even more designs with positive and negative images. Use in combination with Dylusions Stencils and Stamps. 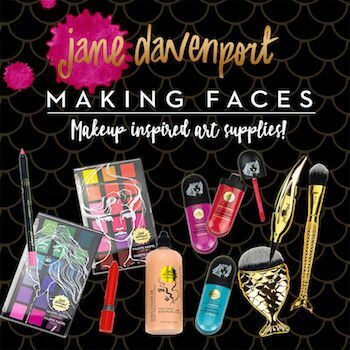 Colorize and doodle with Dylusions Paint, Ink Sprays, Shimmer Sprays, and Paint Pens. Silhouette Stencils measure 9” x 12”. Find your inspiration in the Dylusions Jumpstart Journal! Featuring the same Mixed Media Cardstock as the Dylusions Creative Journals paired next to pre-printed backgrounds. This journal is sure to spark some creativity and ideas for your next art journaling page. Use with Dylusions Ink Sprays, Paints, Shimmer Sprays, Stencils, Stamps, and other accessories. Journal cover measures 9” x 11.8125”, pages measure 8.25” x 11.375”. Contains 56 pages, featuring printed backgrounds on one side.